You take the layout and flow of the store for granted by now, and you know where everything is located. Your new customers do not have that knowledge, and they might not be able to find exactly what they need. This can lead to a frustrating shopping experience for some, and you want to avoid that if possible. Rather than handing out a roadmap to everyone who comes to the store, you can consider giving a tour. You might not normally think of your store as a place for tours, but it can be very helpful. Even just a quick tour of a small shop, letting people know where different items are, can help to point the customers in the right direction. One of the best pieces of advice for giving a tour of your store is to make it as quick as possible. People come into the store to browse and shop. They are not looking for a long history lesson on the store, and they probably do not need to know what’s on every single shelf. You want to give them a warm and welcome introduction, ask if they’ve been to the store before, and whether they would like a tour. If they want a tour, you want to hit the highlights. Make sure they know where to find each of the departments and the types of items they want. Also, make sure they know where the checkout lines are located, as well as things such as changing rooms and any other areas of interest in your store. 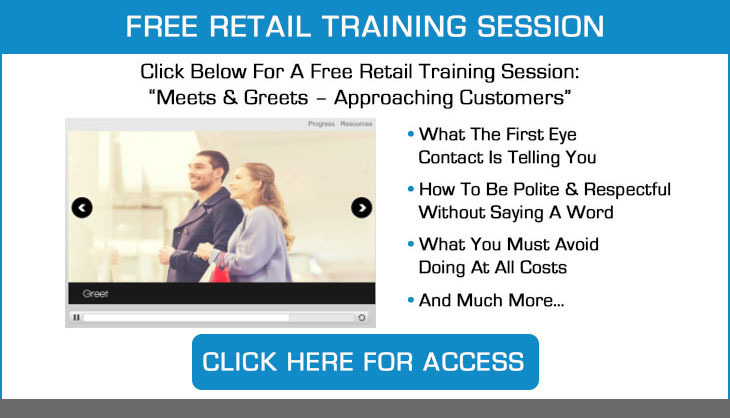 If the customer happens to have more questions and wants to know more about the store or the products you are offering, then you will want to answer those questions to the best of your ability. In some cases, you will learn right away what the customer wants, will be able to direct them to the right part of the store, and even help to make the sale. Is this type of tour feasible for every type of store? Those who have countless customers coming through the doors daily, such as a large store like Target, might not be able to offer everyone a tour, naturally. However, for those smaller stores, it is certainly possible. Of course, you have to keep in mind that not everyone who visits will want to have a tour. Some will not like the idea and others will simply like to explore the store on their own. That’s fine, and never try to push a tour on someone who does not want it, because they will likely just turn around and walk out of the store. Offer a tour for those who would like one, even for the larger stores out there. It can help to open up a dialogue between you and the customers, and this could help you to increase your number of sales.